Gosh I'm feeling old! 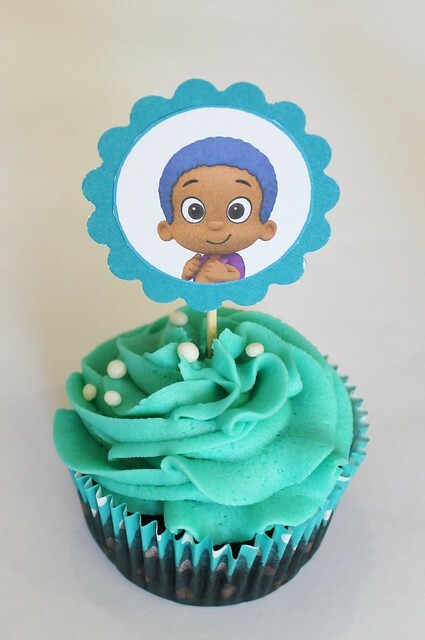 My work mate asked me to make a cake based on this kids TV series I had never heard of...Bubble Guppies? We had a good time trying to guess what a show involving a giant fish and some mermaid children could possibly be like, then I discovered there was also a DOG mermaid! Whaaaaa?! 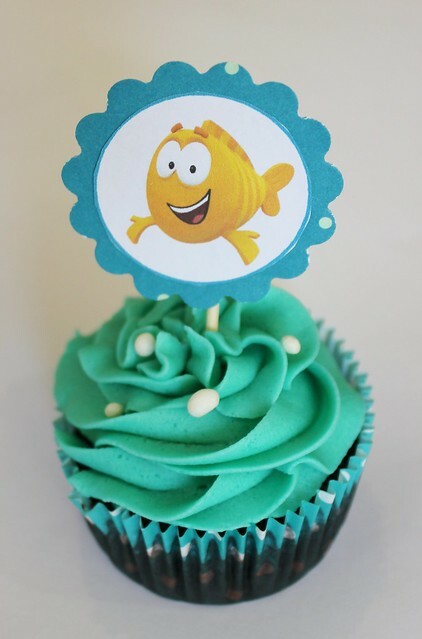 These sea creatures are absolutely adorable though so it made for a cool cake and cupcakes, thank goodness for that! 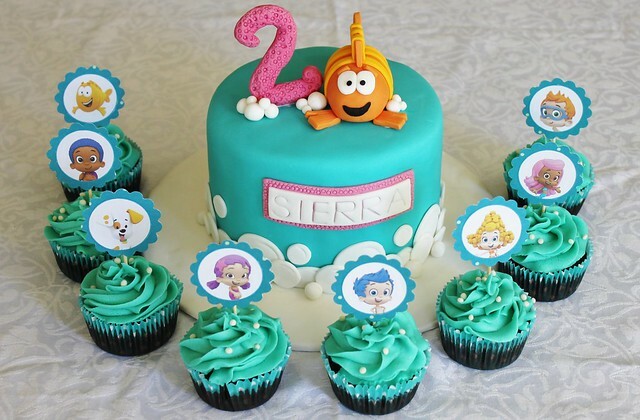 The cake and cupcakes were for two year old Sierra and were chocolate cake and cupcakes. I was a little disappointed by the Wilton cupcake cases (sorry Wilton) that they didn't hold their colour at all! I know I made chocolate cupcakes but it is as if the cases didn't even try to put up a fight, they're just see through! Oh well, will have to make some lighter cupcakes in them next time. 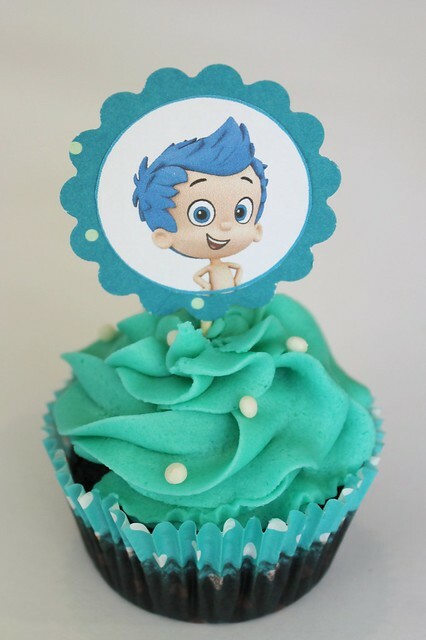 If you would like to try making these cupcakes, they are super easy! Firstly bake cupcakes, then pipe cupcake swirls on top (using this tutorial) then pop a cupcake topper (using this tutorial) on top and viola! You're done! The cake was awesome and adored by everyone. We didnt really want to cut it as it was soooo cute. But after tasting the cupcakes it was an easy decision to cut the cake. It tasted delicious! 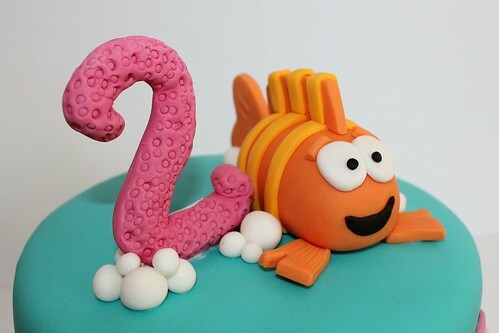 Thanks again for making our daughter's 2nd birthday cake such a memorable one...! I'm so glad you liked it! It was such a fun and bright and BUBBLY cake to make! That cake is soooo cool!!! How did you get the 2 to stand up? Its so awesome!! Thank you, you're so kind! The 2 is made of half fondant and half gumpaste which I made the day before so it would be nice and hard. I put toothpicks in the bottom and they stick in the cake to hold it in place. 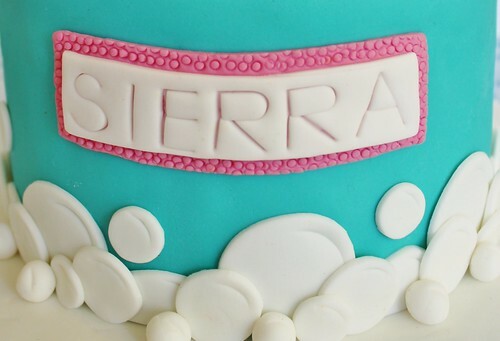 I put the fondant "bubbles" over top to hide them, sneaky sneaky! Oh you are too kind really! Thank you so much! 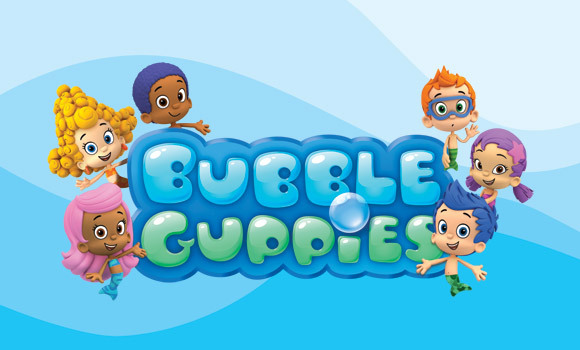 When I first heard Bubble Guppies I thought "bubble what-ies?" kids these days! Haha! But turns out they are super super cute and you can make a cake quite simple for it! I would love to see how your cake turns out, will have to keep in contact! Thank you so much for visiting my blog, glad you're feeling inspired! I have updated the post above. Now there are link to a vanilla cupcake recipe, a tutorial on how to pipe a cupcake swirl and a tutorial on how to make the cupcake toppers. Let me know how you get on, I would love to see photos! Good luck! What are the little round things on top made out of? On top of the cake? They are made of fondant. :-) Hope that helps! how did you do the fondant decorations on the cake? Do you mean the fish? 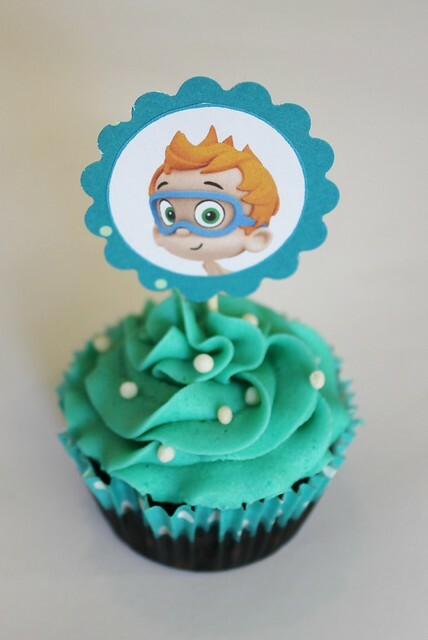 I just looked at a picture and tried to copy it, everything was made from fondant. The stuff I stuck on I used vodka to stick on and on the top I used a little bit of royal icing to stick on. This cake is so cute! 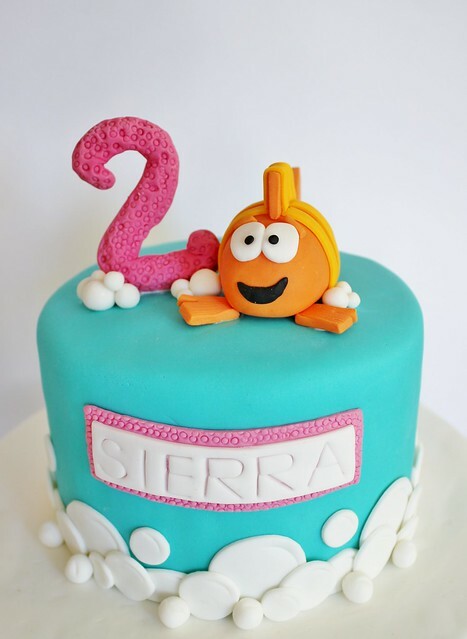 I am planning my daughter's 2nd birthday and because Bubble Guppies is relatively new I'm having to get creative with my decorating! Thanks FOR THE POST! Thanks Marie, glad I could help!